147. Reynoldsville, Pa.-One mile south of course on Pennsylvania Railroad. which follows Sandy Lick Creek from Brookville. 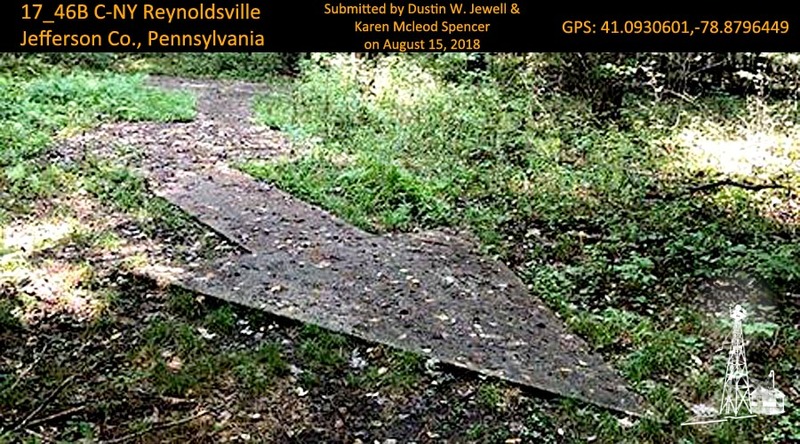 The Pennsylvania crosses the course above Reynoldsville. running in a north-south direction. 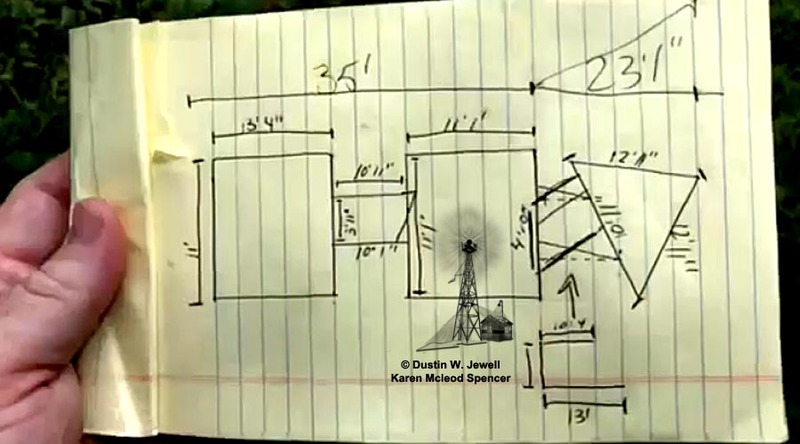 I’m not exactly sure, if what I stumbled on was indeed one of these so called arrows acrossed America, but I wanted to share with you in hopes that you would be able to better direct me to a confirmation or not. 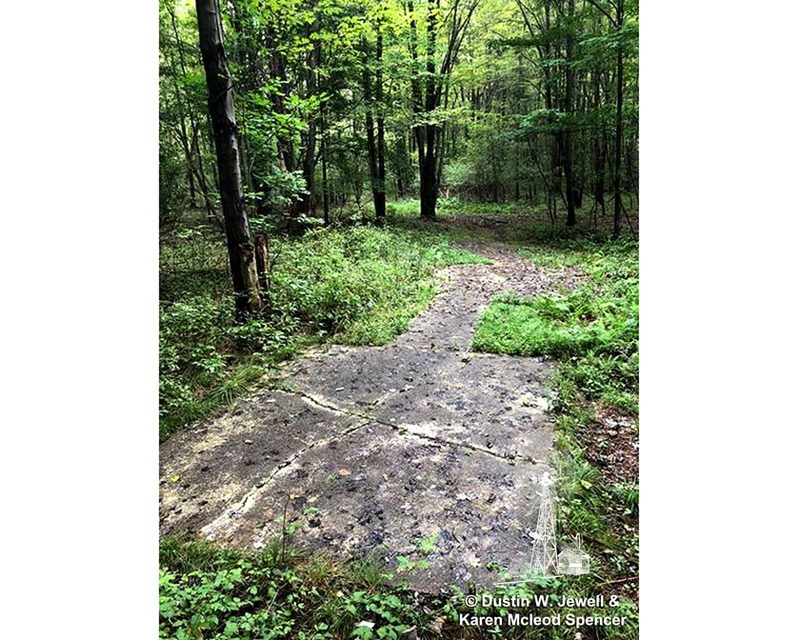 I was recently visiting back in my hometown and hiking some on trails, where a friend and I stumble on what appeared to be a large concrete arrow with two square pads that resembled your other images. Reynoldsville. Pa. (C-NY Site No. 46).—A 1,000,000-candlepower rotating beacon light is operating 1 mile northwest of Reynoldsville. Red course lights flash characteristic dash, dot, dash (_ ._ ). This replaces old site 46B formerly located adjacent to Reynoldsville to the north which has been discontinued.